Stellar's Sea Lions are fairly common marine mammals in Prince William Sound (PWS). There are several areas in PWS where large numbers of Sea Lions may be experienced. Bull Head on Glacier Island and Needle Island are two such areas. On any given day populations in the hundreds may be observed. 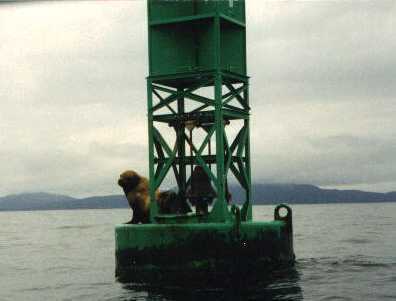 Other good locations to view Sea Lions are on the many navigational buoys around PWS. This page was last updated on 09/26/17.